Jack Curran of Queensland led this one out for the first 2km covering the 1st km in 2:48 and the 2nd km in 2:49. Km splits were even as the entire pack stayed together looking fairly comfortable, at least amongst the frontrunners. Curran was able to shake off the odd attack or two from his rivals from 1200m but after the 2km mark it was the Jacob Birtwhistle show all the way to the finish line. Victoria’s Zak Patterson gave valiant chase to the very end but Birtwhistle just refused to tire and looked like he could go another 400m at the finish if he had to. This result bumps him up from his 3rd place at this race last year and gives him a modicum of revenge over Patterson who finished above him in 2nd in 2012. 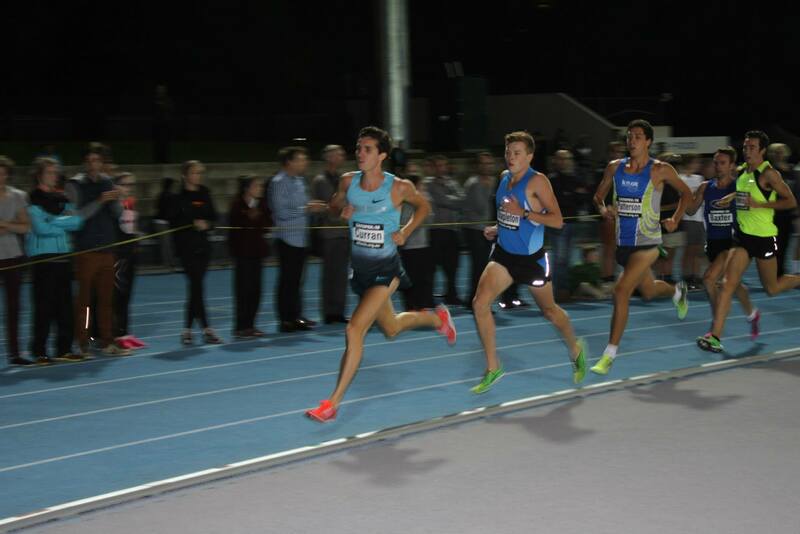 PRT1: The de Castella U-20 3000m is usually the most exciting and deep race on the program at Zatopek and this years’ class proved it in a big way. Last year 8:45 would have got you middle of the pack; this year that time would put you dead last. PRT 2: Reason to be excited – 70% of the field (14/20 athletes) ran PB’s from between 1 second to as much as 21 seconds. Futures are looking’ bright! PRT 3: Reason to be excited (if you’re a Kiwi) – 3 out of the top 7 were New Zealanders Matthew Baxter (3rd), Ben Moynihan (4th) and Jacob Priddey (7th).